Hello, I am Endo Sakura majoring in Global Tourism Studies. 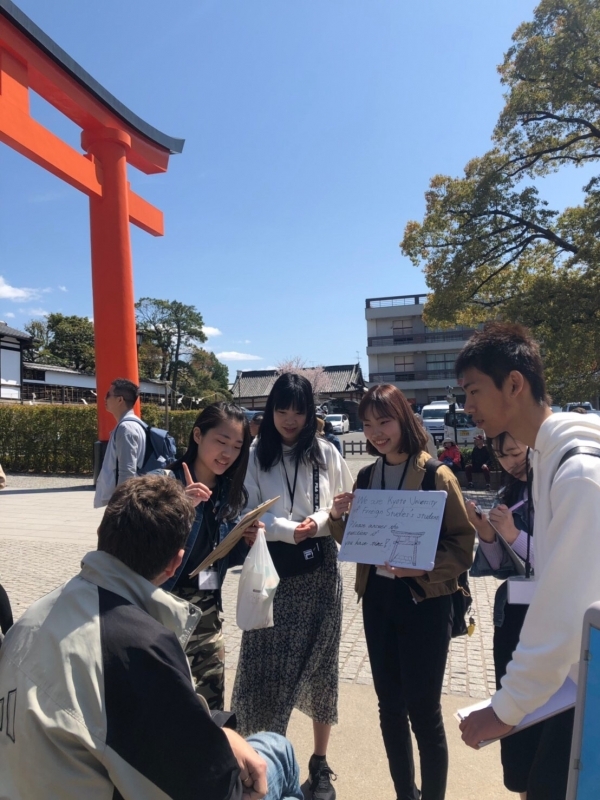 Today, I would like to report on the department's freshman fieldwork in Fushimi Inari. Fushimi Inari has been chosen as the best sightseeing spot in Japan by Trip Advisor. This shrine is famous for thousands of red gates across the mountain and roasted sparrows. I participated in this fieldwork to support freshman students. 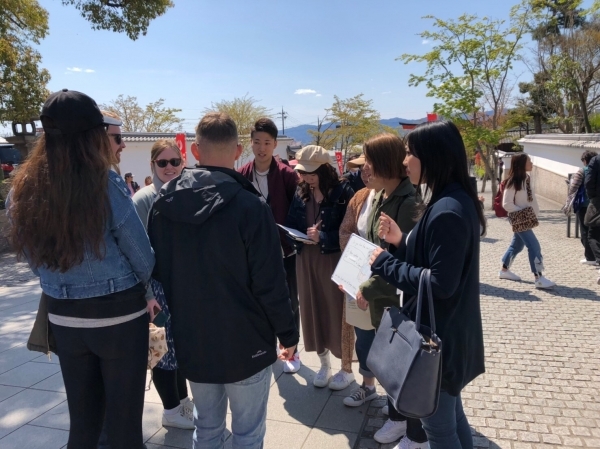 In this freshman fieldwork, freshman students were divided into groups to conduct interviews with overseas tourists. Each student group came up with their own ideas to ask different questions such as "what do you find inconvenient about traveling in Japan? "and "how much do you know about the history of Fushimi Inari?" We, the second-year supporting students conducted the same fieldwork last year. This was our first fieldwork, and we couldn't do well. However, the group members I supported this year were so aggressive. They met the day before the fieldwork and made question boards. Through this freshman fieldwork, I was very influenced by the degree of engagement that freshman students were willing to provide. I am now motivated to do everything more actively. Nanzenji Temple is located near Subway Keage Station, and it takes about 10 minutes on foot from Keage Station to Nanzenji Temple. Subway Keage Station is 15 minutes away from Uzumasa Tenjingawa Station, which is within walking distance from Kyoto University of Foreign Studies. Around Nanzenji Temple, there are many nice places to visit such as Houjyou Garden that is a dry landscape garden, and Keage Incline that was built as a part of a big project to carry water from Biwa Lake to Kyoto during the Meiji era. Suirokaku is my favorite place as well. 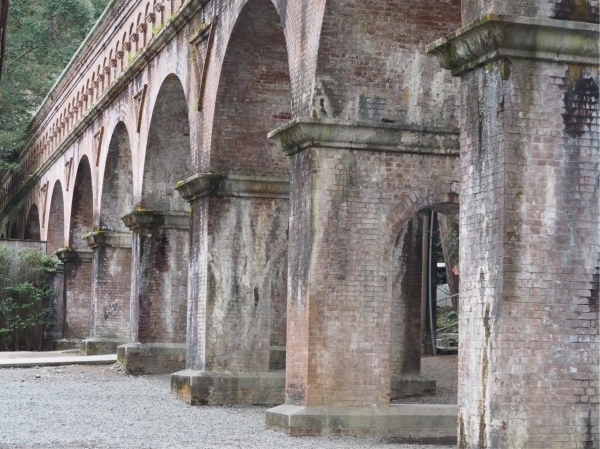 Suirokaku is an aqueduct which was also built as a part of the project to carry water from Biwako Lake to Nanzenji Temple. Enterting the temple gate, you will see the aqueduct on your right side after a short walk. 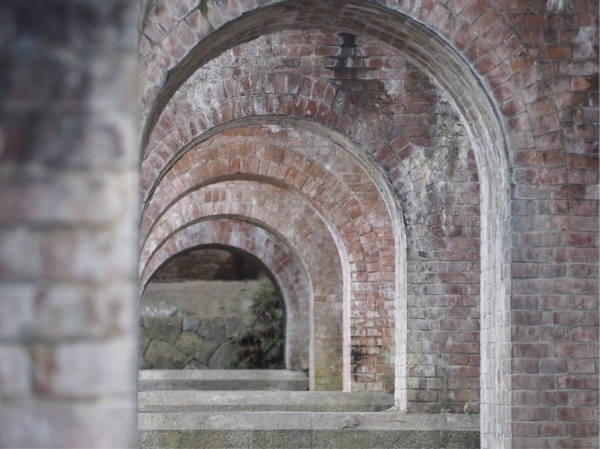 The beautiful arch design made of bricks matches well with the scenery of Nanzenji Temple. I find it breathtaking whenever I visit this place. In Japan, Suirokaku has often been used as a shooting location for many Japanese suspense drama series, so you may have seen it on TV. Why don’t you visit Suirokaku and Nanzenji temple? Hello! My name is Kaori Sano. I’m a second-year student at the Department of Global Tourism Studies. Today, I would like to report on HTRP (Heritage Tourism Research Project) held from March 21st to 24th. HTRP is the ASEAN-Japan Tourism Exchange Project, sponsored by the Japan Foundation. 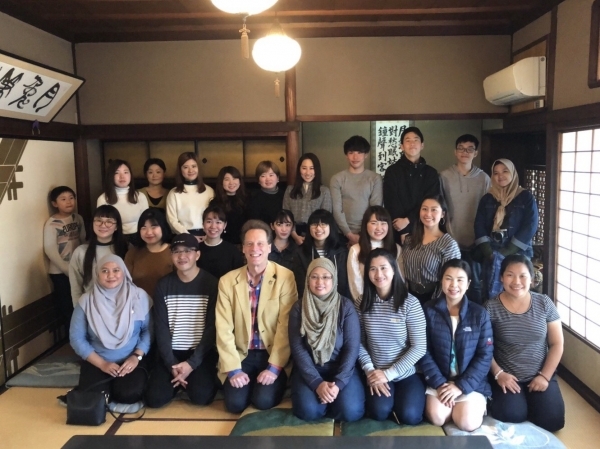 Students and teachers from Laos, Malaysia, Thailand, Vietnam, Indonesia, and Japan did fieldwork together in Kyoto. We also had a grand symposium for the Faculty of Global Engagement. Presentations by guest speakers and a panel discussion of all the partner universities of the HTRP took place on the third day of the event. I took part in HTRP as a volunteer leader of Laos team. We planned the walking tour around the Nishiki Market area. I was so glad that all of the guests from Laos enjoyed our guide. During the walking tour, we were able to talk a lot and to learn the culture of each other’s country. 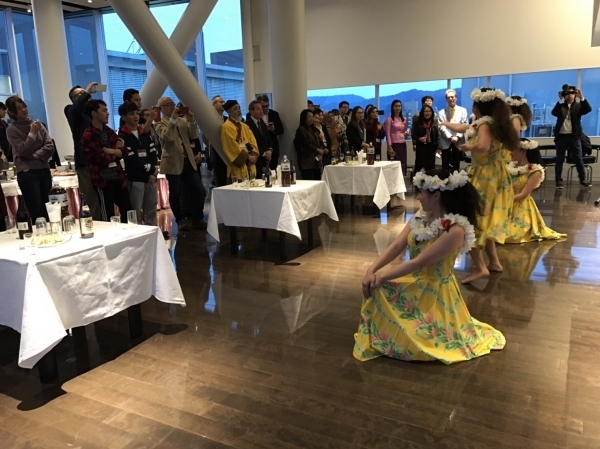 I’m also a member of a hula dance club, and we performed hula on the dinner reception stage on March 23rd. In HTRP, I was able to practice what I learned throughout the year. I noticed that it was important to plan a tour based on a deep understanding of the interests of tour participants. 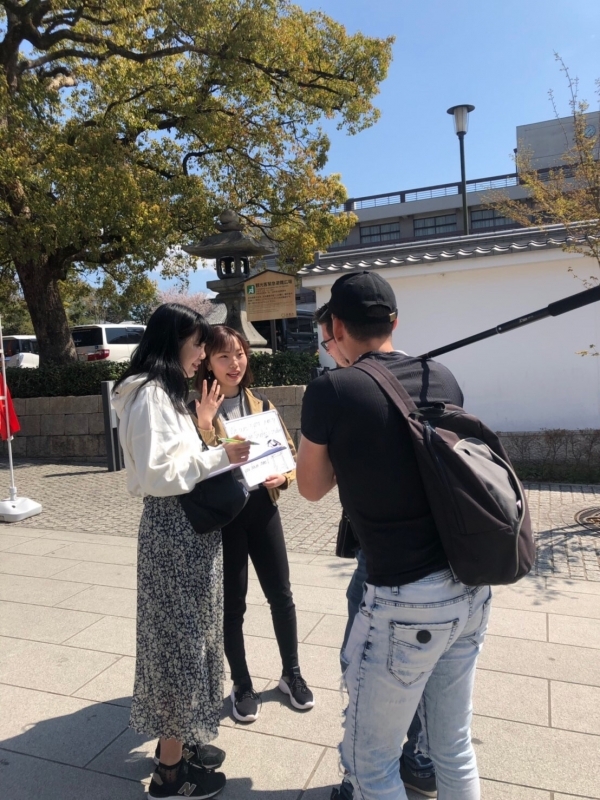 In the future, I would like to participate in as many events as possible to learn more about Japanese culture and tourism, and to improve my English. Hello! My name is Nanami Shimaoka. Ⅰ major in Global Tourism Studies at KUFS. Today, I am going to guide you to Kyoto’s most famous traditional district, Gion. The season of cherry blossoms has already started, so I went to Gion to take pictures of cherry blossoms, or “sakura”. Kawaramachi Station of Hankyu Line or Gionshijyo Station of Keihan Line is the nearest station to Gion area. 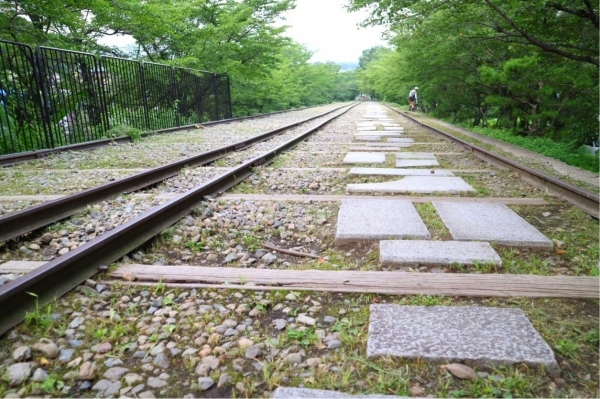 When you get off the Kawaramachi station, you can see the scenery of traditional Kyoto. Kawaramachi Station is just 3 stations away from Saiin Station that is the closest station to our university, Kyoto University of Foreign Studies. 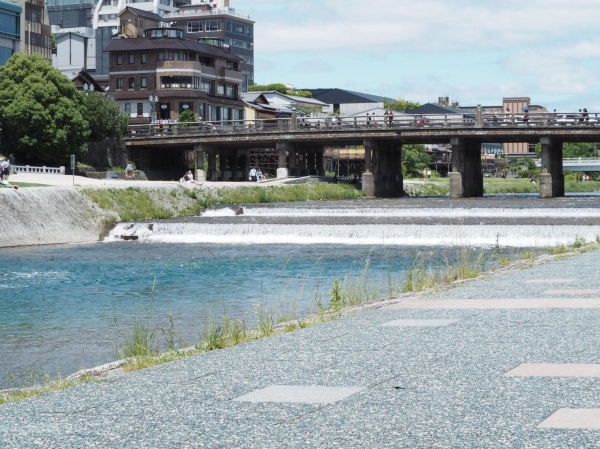 You can start your walking tour in Gion from Kamo River. It is said that couples who sit down on its banks always space themselves at equal intervals. If you go there, you may see the scene. If you go east on the street called Shijo-dori from Kawaramachi Station, then you will see famous tourist spots such as Yasaka Shrine and Maruyama Park. 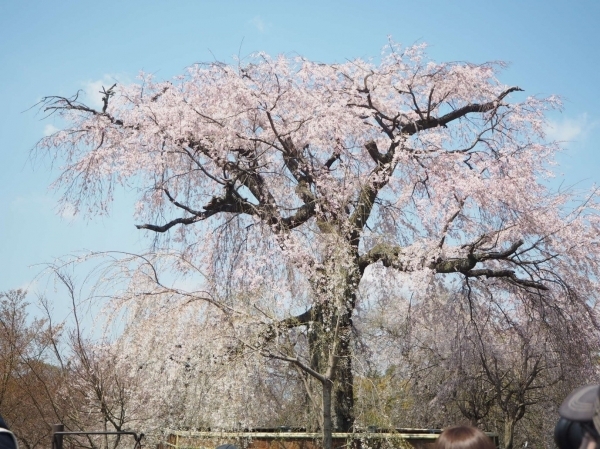 Maruyama Park is famous for cherry blossom viewing, and inside the park, there is an old famous weeping cherry tree. When I recently visited there, I saw many people taking pictures. The cherry blossoms were so beautiful. You can also visit Kiyomizu Temple. 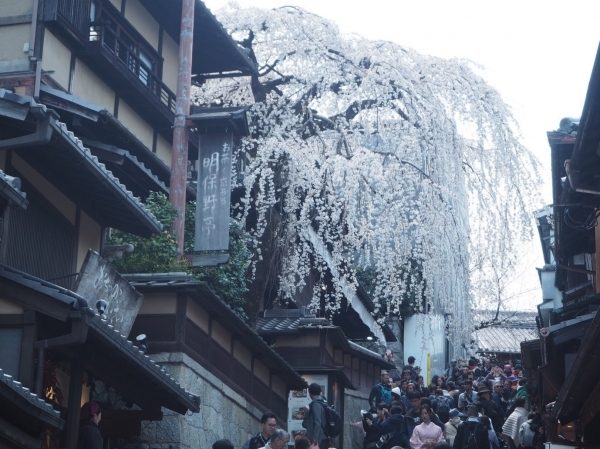 Although a renovation project has been going on at Kiyomizu Temple (until March 2020), visitors can still enjoy cherry blossoms. If you have never been to the temple, how about going there? Gion has a lot of modern shops and cool cafés. However, Gion also has old temples and narrow streets lined with traditional shops and old wooden buildings. I like the scenery of Gion that is mixed with old times and current times. Why don’t you visit Gion this weekend? Hello! My name is Chiharu Miyamoto. I'm a second-year student at the Department of Global Tourism Studies. During this spring break, I participated in the KUFS English Language Program at Universiti Sains Malaysia (USM). Today, I am going to report on my homestay experience in Malaysia. From March 7th to 9th, we went to the villlage of Kampung Relau in Kedah State for a two-night homestay program. 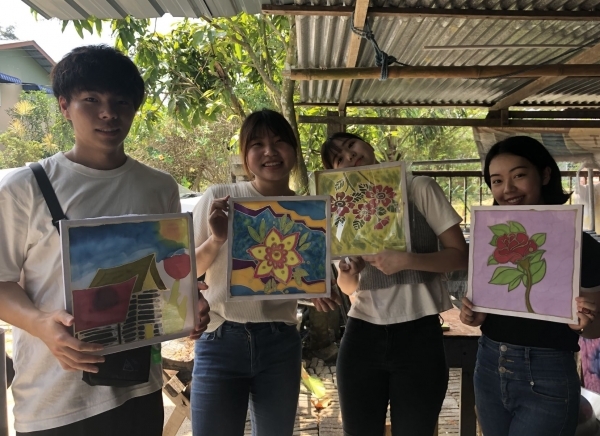 We experienced many things there, but in particular, I would like to talk about Malaysian traditional batik coloring experience and Malay ethnic dresses. 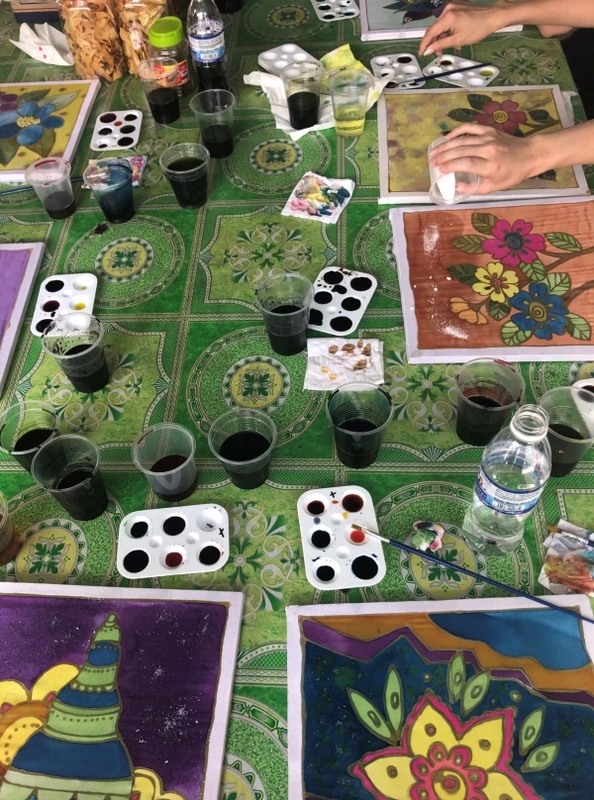 Batik is a Malaysian traditional wax-resist dyeing technique used on textile. Wax was used to create a colored design on a special cotton fabric. Each of us chose the design that suits her taste and enjoyed coloring. Next, I would like to tell you about Malay traditional costumes. Female dresses were called "Baju kurung," while male counterparts were "Baju Melayu." We were able to borrow the dresses from our host families, and we tried them on. One of the attached photos shows us in these costumes. The designs and colors were very original and lovely. 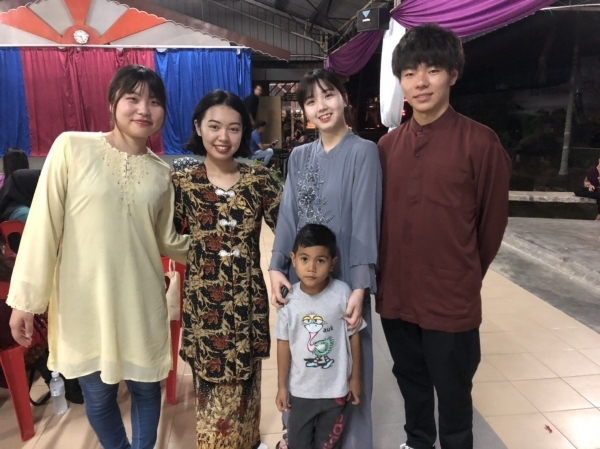 I had a very good homestay experience in Kampung Relau, learning about local cultures, foods, and religions that are often different from Japan. I highly recommend this experience for your next spring break!